Involves information and education provided by seminars, events, Senior Line Magazine and this website. Our goal is to prevent isolation and frailty by means of reaching out with these programs. Involves services provided to frail and isolated seniors by trained, dedicated volunteers. Our goal is to improve the quality of life of seniors needing our service. Involves determining the needs and relevant issues of our seniors and responding in a concrete manner. Our goal is to represent these needs to Local, Provincial and Federal Governments. Involves evaluating the needs and opinions of seniors in order to establish services. Our goal is to always ask the questions required to establish the needs of our population. 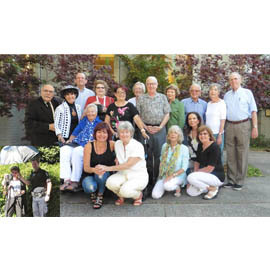 The Jewish Seniors Alliance of Greater Vancouver is a non-profit volunteer driven organization for all seniors over the age of 55, regardless of their gender, culture, ethnicity, sexual orientation, physical/mental ability, socio-economic status and religious/political belief systems. The Organization aims to inform, support and involve seniors in a contemporary complex world and to promote active community and social involvement and wellness. Acting on the needs of seniors in the Lower Mainland and their organizations, the JSA responds to concerns with governments, the public, agencies, and funding groups. Our outreach includes the JSA Senior Line Magazine, published three times annually, and distributed to over 5,000 households, community centres, seniors’ facilities, libraries, local pharmacies, and businesses. Three times a year the Senior Line Magazine will come to your door, chock full of informative, innovative, and cultural articles. No extra cost for jokes, cartoons and word games. The centerfold is a pull-out section with all the upcoming senior- oriented events for the following four months. Many other Foundations, Private and Corporate donations. 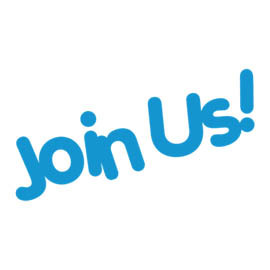 Although the organization is largely voluntary, there are staff, facility and third-party expenses that spearhead fundraising, which include managing the membership, accessing resources for JSA programs, disseminating information, and recruiting and matching peer support volunteers.